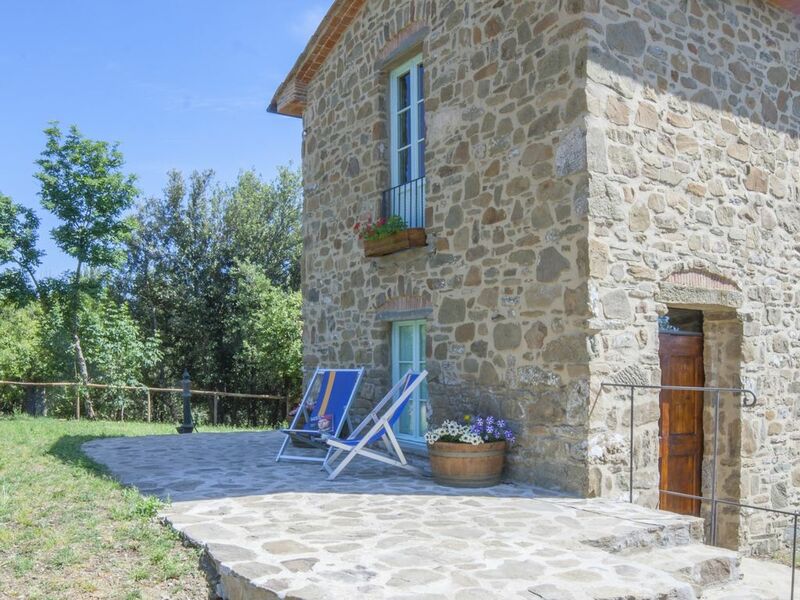 The holiday homes with swimming pool on the farm are located on a high hill, with a wonderful view that sweeps over the vineyards and the woods of Chianti to Siena. The tranquility that reigns in Monte di Rota is total: no sound of passing cars, no voices, and the same view is relaxing, meeting in the distance only forest, vineyards, ancient farmhouses and small villages surrounded by cypress trees. Guests have access to a large infinity pool with a children's pool. The surrounding terrace and garden offer a magnificent panorama and the nearby wood-fired sauna allows an experience of authentic wellness in every season. The holiday homes have a private garden with barbecue and are surrounded by the large wooded park that houses the play area, free Wi-Fi. Children's playground, table tennis, five-a-side football, basketball, bowling green and giant chess board. Il Fienile is a secluded cottage about 150 m from the two main houses, isolated in the wooded park. Here the restoration has better preserved the climate of the old farmer's house: all the furniture is old and restored, even the beams and doors have been recovered and you can see the ancient workmanship by hand, but with all modern comforts. On request we provide everything you need for small children: side protection for beds, cots, high chairs, door gates. Private panoramic garden with gazebo, dining table and built-in barbecue.